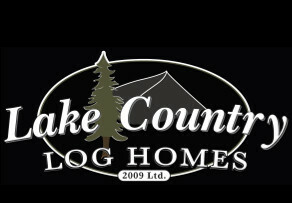 Lake Country Log Homes have enthusiastically embraced the craftsmanship of Timber Frame Log Homes and are here to help you design, manufacture and build a home of unique style and grace. Handcrafted Timber frame home packages include the structural elements of the log home design using machine profiled logs. Timber frames offer the structural aesthetic of post and beam construction with the machine precision of profiled logs. Timber frames combine the timeless beauty of log home features with the modern improvements in efficiency and precision. Logs can be milled from Douglas Fir or Western Red Cedar. Other species are available at the client’s request. LCLH can build a Timber Frame Log Home to any specification.